Paddling Season is on the way! You know what I did this week, instead of going surfing during a lovely February thaw? I finished up the 2019 course schedule for you! Proof that even extreme procrastination eventually must end! With all those hours at a keyboard finally behind me, I’m really excited to share another year on the water with all of you! I’ll start up in my home waters in early May, with a visit from Todd Wright. Join us for a 3-day “Season Opener”. We’ll hit some of our favorite paddling spots around MDI, including Reversing Falls, the spectacular cliffs, and wherever else the conditions take us. You can take a look at the entire schedule at PinnipedKayak.com, and if you have questions about anything, or want to discuss your personal goals for the upcoming season, don’t hesitate to call or email me. I’d love to hear from you. 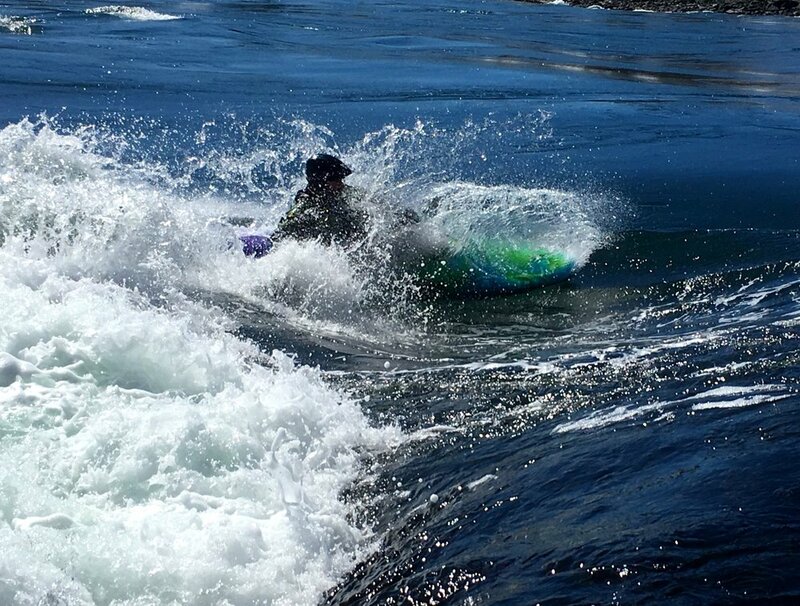 Whitewater for Sea Kayakers - Sure 97% of the earth’s water is salty, but some of the other 3% is actually pretty fun too! Let us introduce you to WW kayaking, to hone your rough water skills, improve your sea kayaking, and give you a taste of our other favorite realm. A hat-trick of our popular "3-Day Paddler Development Intensives" - Designed for maximum skills improvement, it’s sort of a soup-to-nuts instructional feast. We’ll make use of the best training venues that the MDI region has to offer, from Sullivan Falls to Otter Cliffs and beyond. Rocks, Tide Races, Open Water, etc. Available in May, July and August this season. ACA Instructor Training and Assessment available at Levels 2, 3 and 4. Sure it’s great for teachers and guides, but the biggest benefits I see from instructor training is the insight that candidates gain about their own paddling. It’s a worthwhile investment in your own personal paddling performance, and it can be a very rewarding process. For those paddlers who are looking to make big strides in their kayaking this year (regardless of your current level), I am accepting Long-Term Students. The most rewarding relationships that I have with students are ones which allow us to consider the long-view, and build a comprehensive plan for individual paddler development, throughout a season and beyond. If you are interested in committing to 6 or more days of instruction this year, I will commit to helping you to make long-term gains in your paddling development, and spending time with you on goal-setting and practice-planning, as well as incorporating some more time-intensive coaching tools like video analysis into our sessions. Please get in touch with me to discuss this possibility in more detail. I hope you continue to find adventure in the outdoors this winter, and spend some evenings by the fire plotting grand summertime exploits on the water!